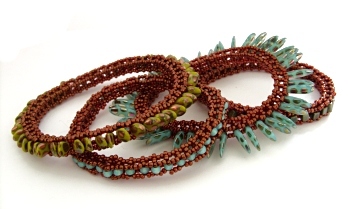 This set of four beaded bangles appeared as a project in issue 21 of Bead magazine. The bangles use 3D right-angle weave with a mix of different beads for a dramatic effect. The instructions for these are available here.